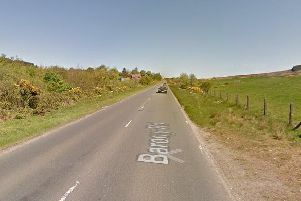 Police are appealing for witnesses to a two-car collision on the Stewartstown Road near Coalisland at around 3.30pm on August 30. It is understood no one was hurt in the crash, but that a red Ford Focus was damaged by another vehicle. Const Mark Purdy said: “It was reported that at around 3.30pm on August 30th, a red Ford Focus car was damaged by another vehicle in the Stewartstown Road area. “We are keen to hear from anyone who noticed anything to come forward. The number to call is 101, quoting reference number 4921915.